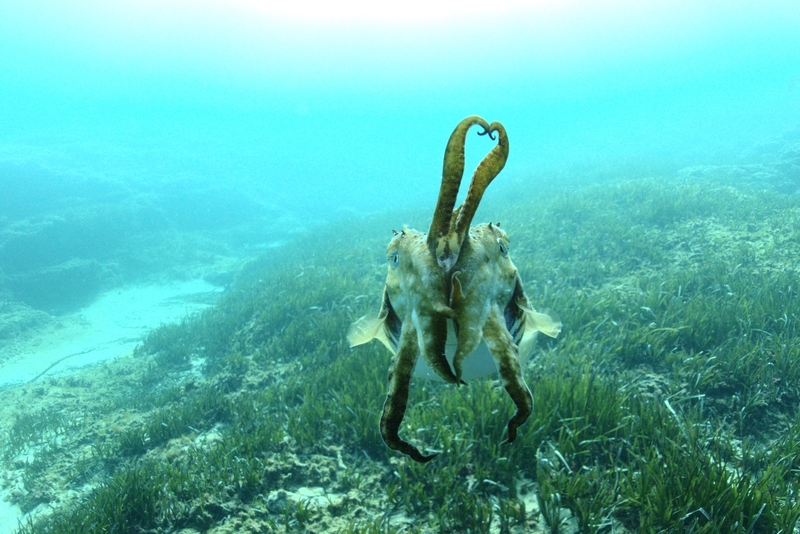 You know folks, a common cuttlefish (Sepia officinalis) is all it takes to make my day. This cuttlefish had a bit of a fling with the camera’s strobe—or maybe it was the diffuser. It came right up to touch the bulb. In fact, I had to keep backing up just to get a shot. And it followed. New friend day! This work is licensed under a Creative Commons Attribution-ShareAlike 4.0 International License. Please attribute Kristaps, the photographer, with a link to kristaps.bsd.lv/photo0019.html.